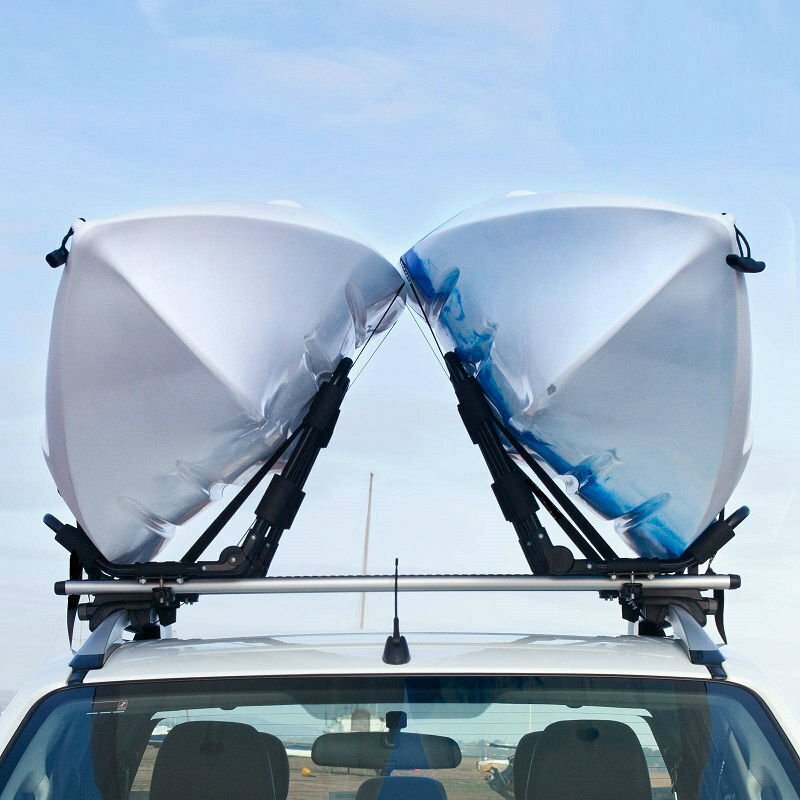 Have you got two kayaks to transport, then this is the perfect system as we have bundled two sets of J racks together to transport two kayaks. 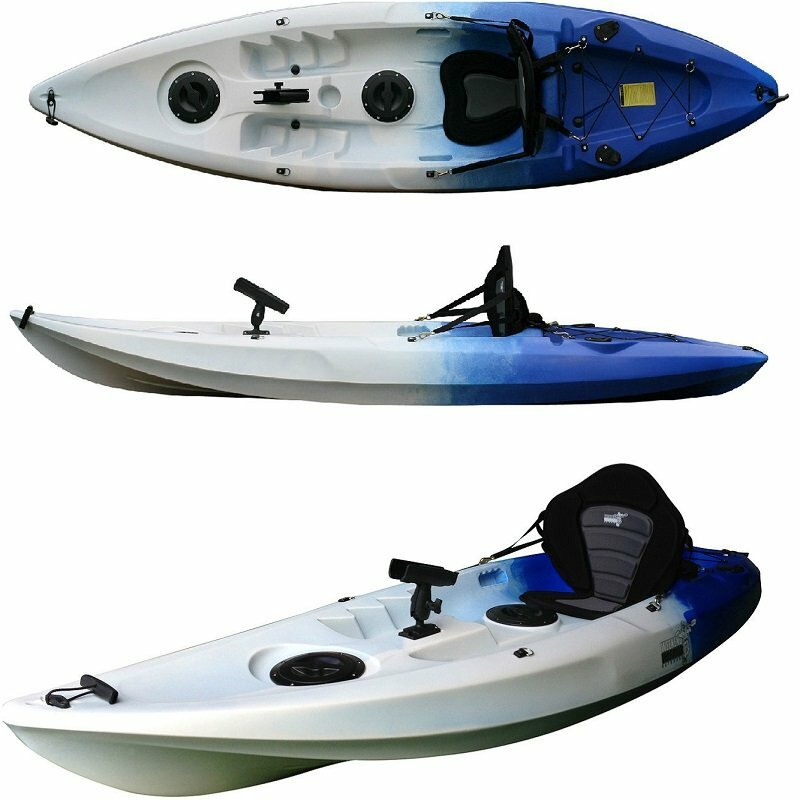 Each carrier is designed to fit one kayak in the rack and is suitable for all types of kayaks including fishing kayaks, tandem kayaks or sea kayaks. 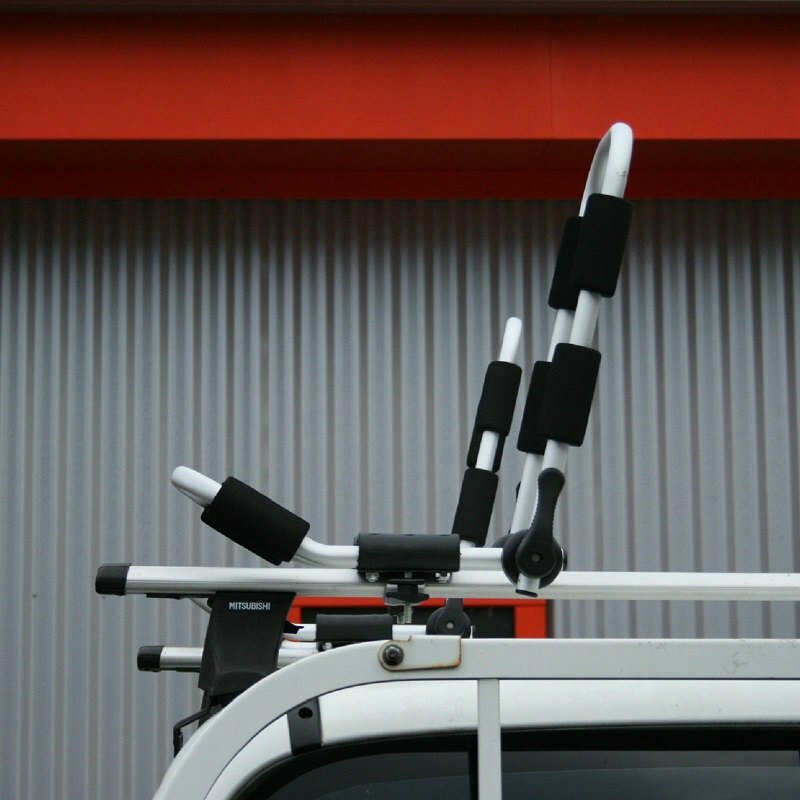 These J Racks mount onto your existing roof racks, so yes you will need roof rack bars for these to work. 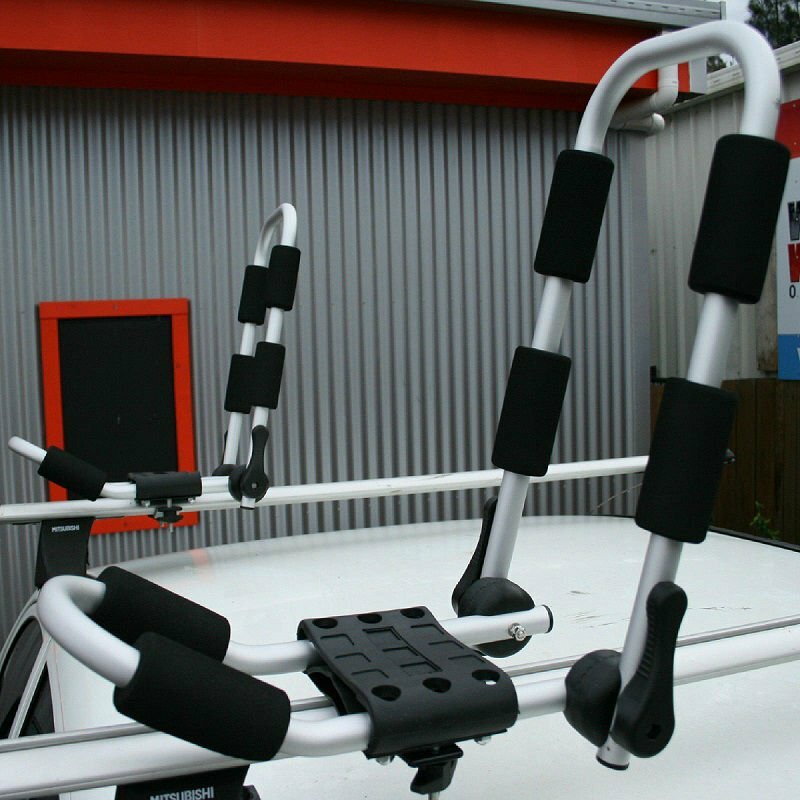 With our design it has the very important adjustable arm which allows for you to adjust the position of the upright bar and this fits the kayak more securely into position as you can adapt to suit the shape of your kayak. Also an important element is the ability to fold it flat so it is out of the way when you are not using it, the rack folds between 1-180 degrees. So this is the perfect solution for transporting two kayaks. This is the adjustable model so folds flat when not in use. Very important feature.